If you have ever seen a winter night around the cold mountains after snowing has stopped, you will agree with me that the scenery looks magical. But if you are not sure how it looks then this Snowflakes slot game gives you a glimpse of such a magical silent night. This 5 reel slot set in the backdrop of a frozen lake below dark and blue midnight sky makes you feel like a scene from a science fiction movie. An intense music that is soothing for your mind is very healing and overall atmosphere of the game make it the best phone Vegas games based on a winter theme. You can play this amazing slot game on your computer, mobiles, and tablets. The developer is NYX (NextGen), an online casino gaming company popular for many slots built with the greatest imagination that takes you on their magical journeys. With over two decades of experience in this industry, they have managed to win hearts of millions of gamers worldwide. This is one of the best phone Vegas games that offers a unique experience with ten different shaped flakes of snow as the game symbols. With various colors such as diamond white, purple, green, blue and bright pink they look like precious gems of various sizes. The highest valued is the white flake that resembles a diamond studded pendant which offers 400 times your stake when five of these land during a spin. The betting limit starts from 30p and goes up to a maximum of £600 that suits high stake gamblers as well. The bonus symbols are represented by a carved ice block and a crystal ball with a white glow around it. Wild Feature: What makes this one of the unique phone Vegas games is the wild which is carved on a block of ice that covers for all but the scatter symbol. Five of this awards you 500 times your stake and during any spin an icy wild or wild wind feature can randomly appear that can turn up to five random symbols into wilds, making your big win chances brighter as the game. Scatter: The glowing crystal ball is the scatter symbol and it awards free spins of 7, 10 or 15 on 3. 4 or 5 appearances respectively along with multiplying your wins. The scatter makes any wild that appears sticky during free spins until all spins are over and this is another feature that makes this slot one of the best phone Vegas games. 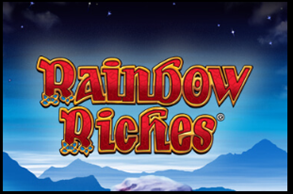 Summary: With a return to player of 96.57% and a multiplier of your wins up to 2500 times with 5 scatters, this slot makes one of the highest rewarding phone Vegas games in the world. With the high stake of £600 betting and possibility of the highest win, you can win a whopping million and a half.